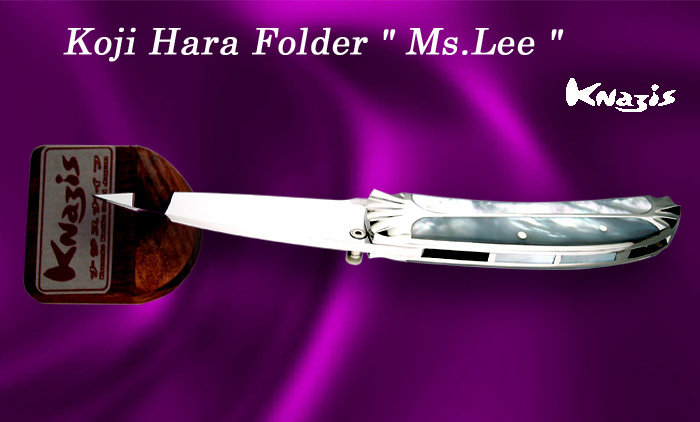 Hara payed respect to Ms Lee, and dedicated one of his designs to her. 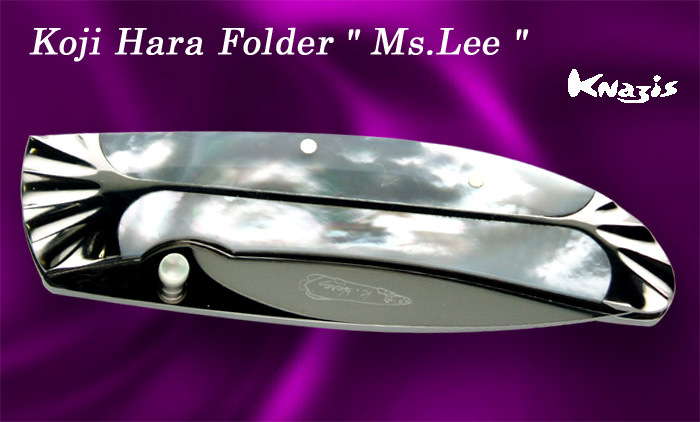 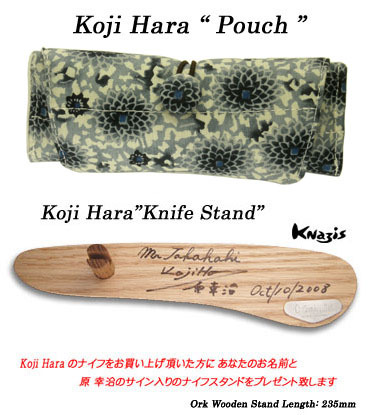 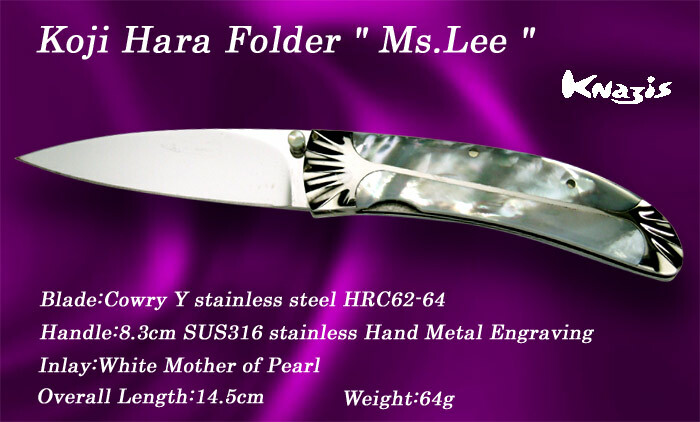 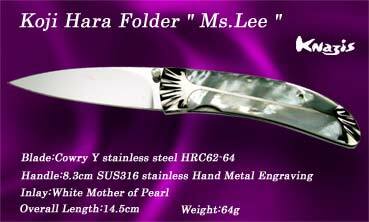 She is a staff member at a Knife Gallery in Korea who has helped Hara greatly over years. 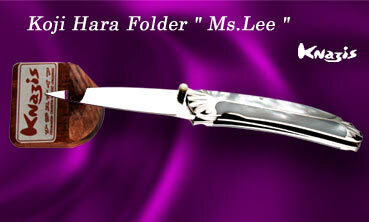 Hara named the work gMs Leeh.? 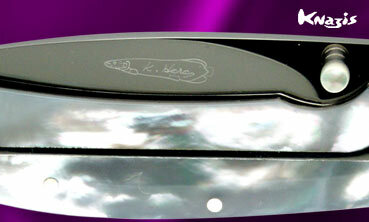 It is an elegant work featured by the SUS316 stainless steel and beautiful Mother of Pearl.